Description: With Omega Point destroyed, Juliette doesn’t know if the rebels, her friends, or even Adam are alive. But that won’t keep her from trying to take down The Reestablishment once and for all. Now she must rely on Warner, the handsome commander of Sector 45. The one person she never thought she could trust. The same person who saved her life. He promises to help Juliette master her powers and save their dying world . . . but that’s not all he wants with her. I am so conflicted. I feel like 3 stars is a lie, but I really, really liked the last 50-60 pages or so. It was a strong finish to an otherwise insufferable series. Those last few amazing chapters don’t make up for how tortured I felt reading the other 350 pages of Juliette now agonizing over her feelings for Warner or her drawn out speeches about how she didn’t really love Adam after all and how she’s changed so much. It doesn’t make up for two previous books of waiting for something amazing to finally happen. (I felt compelled to finish the series once I started. It wasn’t unbearable–just enough for me to hate myself a little bit more every time I turned the page, but not enough to make me quit.) It infuriates me that this is such an amazing premise, and when there was action, it was GOOD action, but it was so few and far between. All of the characters had amazing powers that were rarely seen. The scene in the courtyard was spectacular! I can’t wait to see that in the inevitable film or TV series this will become. But why was there not more of that in this whole series? Why was Juliette such an unlikeable heroine? I’m also confused about the timeline. I gave Juliette a lot of concessions because I thought she’d been locked in asylum for years. It was only 274 days? Really? The whole world had come undone in less than a year? And why was Warner more appealing as a villain than a hero? He was my favorite, and quickly became unlikeable too…though that might be just through his association with Juliette. And even as hurt and angry as he was supposed to be, it was totally out of character for Adam to be so hateful, verbally abusive, and possessive. Juliette is still haunted by her deadly touch. But now that she has teamed up with other rebels with powers of their own, she’ll be able to fight back against The Reestablishment to save her broken world. With the help of these new allies, she’ll also finally learn the secret behind Adam’s—and Warner’s—immunity to her killer skin. 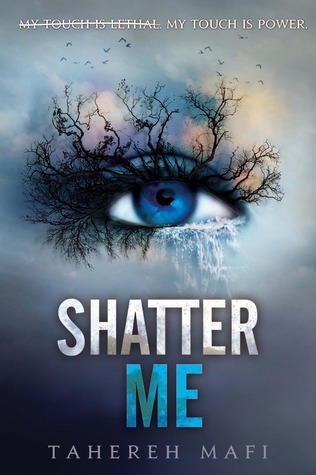 This is my most unpopular opinion to date, but I didn’t enjoy Shatter Me and Unravel Me. 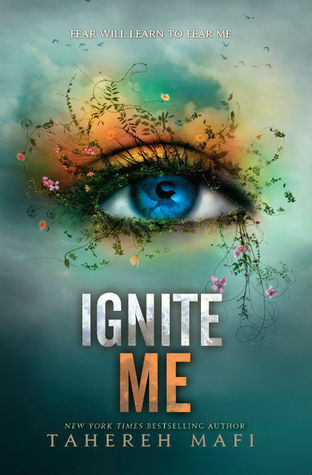 (I haven’t read Ignite Me yet.) 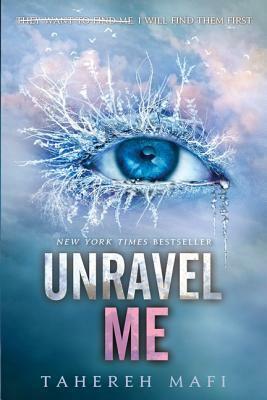 Yes, Unravel Me was better as everyone suggested, but only marginally. The biggest complaint I have with the books is Tahereh Mafi’s writing style. I applaud the fact that she’s trying to do something new (compared to other current young adult authors), but it really is overkill. Some of her similes and metaphors don’t even make sense. And Lord knows if I have to read about the color of Adam’s eyes again, I’m going to throw the whole series in the trash! Also, I know the timeline has been several months, but Juliette is showing no signs of being less irritating or self-involved. I understand that she’s been locked away, alone, and untouched all her life, but there’s a war happening yet all she can think about is her love life? Warner is my saving grace in this series. I find any chapter with him is very entertaining. Overall, I like the story. I would love this series if it was more well written, with less focus on the “love” story, and some legit character development for Juliette. I read the whole series and I have this love-and-hate feelings with this series. I understand that you don’t really like Juliette’s character in here. The lack of character development was really annoying. I was also searching for more actions as they have super powers which were overshadowed by their LOVE story. But overall, it has the potential, Tahereh you can do better! I agree with you! I want to hate it, but I see the potential, and there are moments where it’s just really great but those moments are overshadowed by the [terrible] love story. I’ve been wanting to read this for ages! I just haven’t found the time to do it. Thank youu for the review.